I love springtime and can’t wait for it to get here. March is such a fun month. 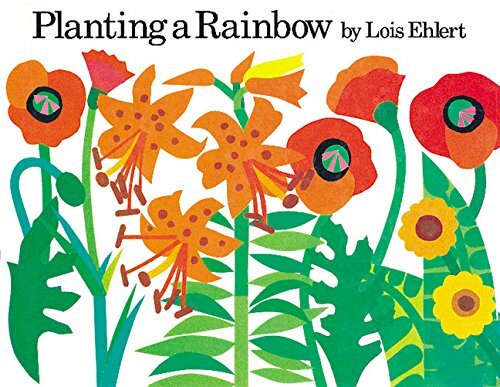 We’ve pulled out one of our favorite picture books by Lois Ehlert. Planting a Rainbow. We love it for springtime with all the vibrant colors. This book teaches how bulbs and seeds grow into beautiful flowers and plants. I love the art by Lois Ehlert. 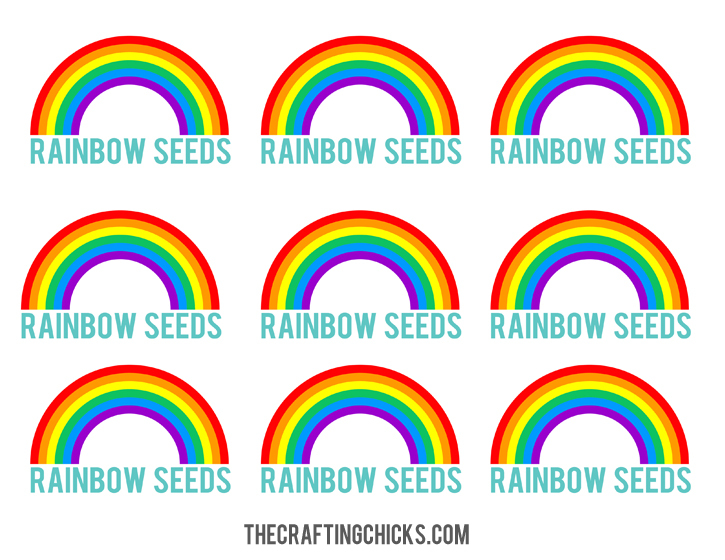 We made a rainbow windsock and “rainbow seed” packs to go along with the story. 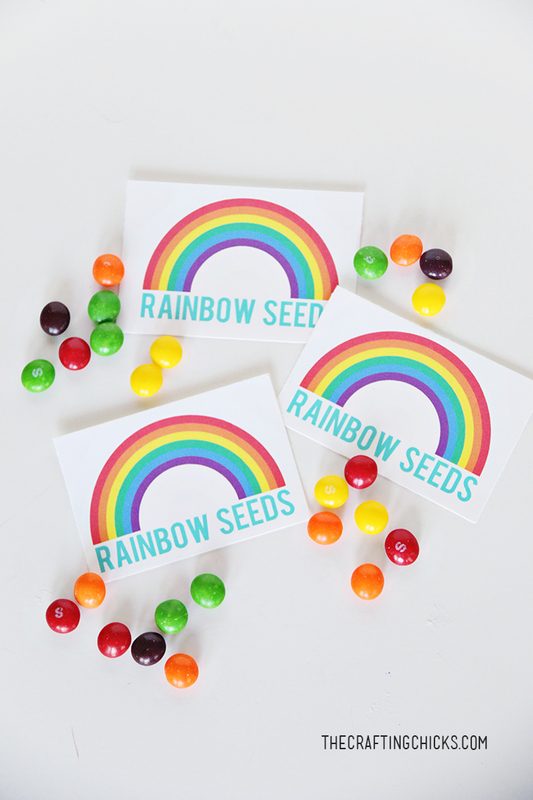 These rainbow seeds are also a fun treat for St. Patrick’s Day. Just use skittles. You can add M&M’s too. Just any brightly colored candy. 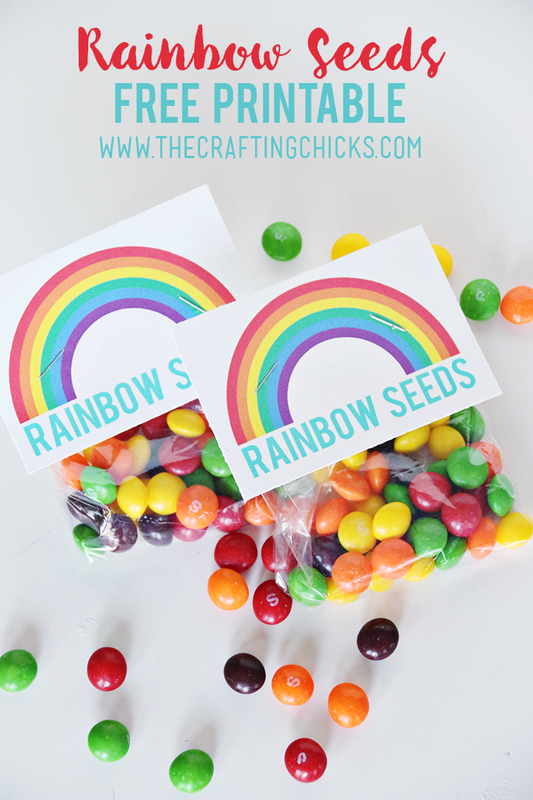 I made a fun little printable to go with the “rainbow seeds.” Just fill your plastic sacks with the bright colored candy and attach the rainbow tag on top with a staplers. Makes the cutest treat topper. Download below. PERSONAL USE ONLY PLEASE. 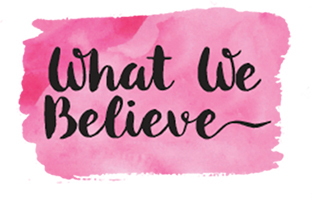 All downloads and printables belong to The Crafting Chicks, LLP. This rainbow hunt is so much fun! 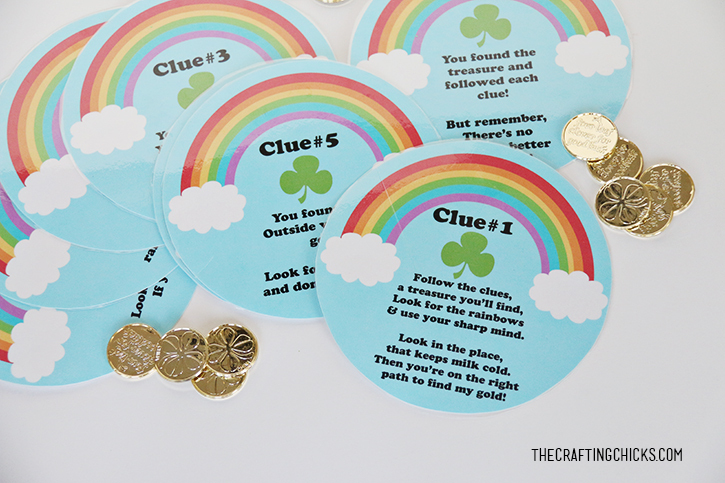 Follow the adorable rhyming clues to the treasure. 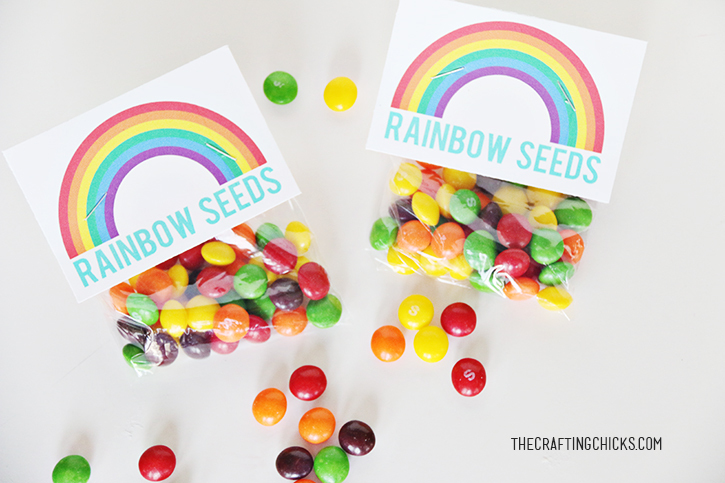 You could even hide the “rainbow seeds” for part of the treasure. 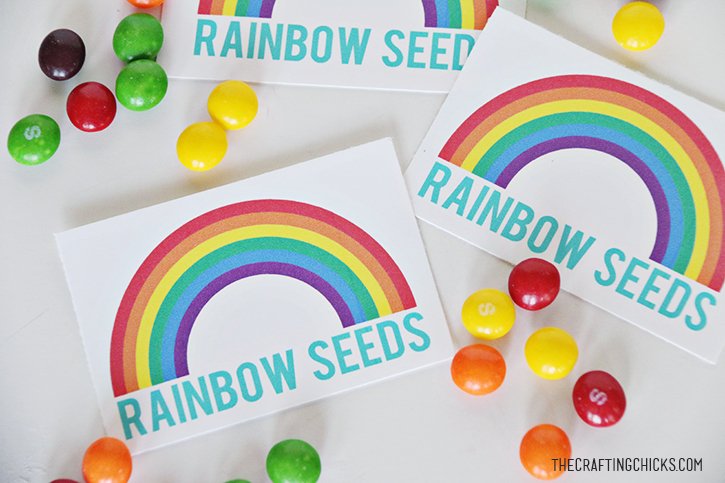 This adorable Rainbow Kid’s Snack is so much fun. Let the Kids make one this St. Patrick’s Day…or any day! Just a few simple ingredients to make the cutest treat ever! This yummy and pretty rainbow cake is perfect for St. Patrick’s Day or just for fun! 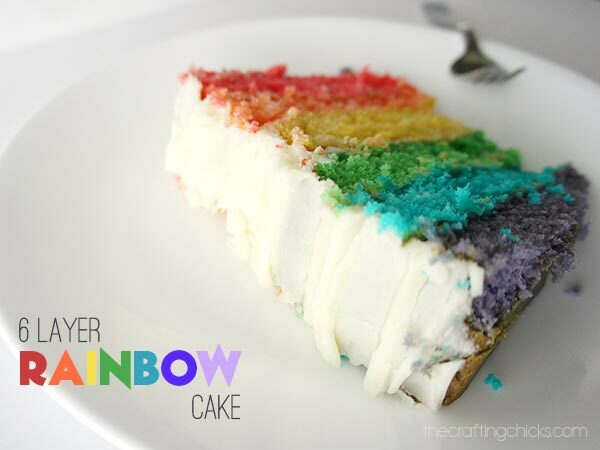 Perfect for a Rainbow themed birthday party too. Love the vibrant colors and the cream cheese frosting. 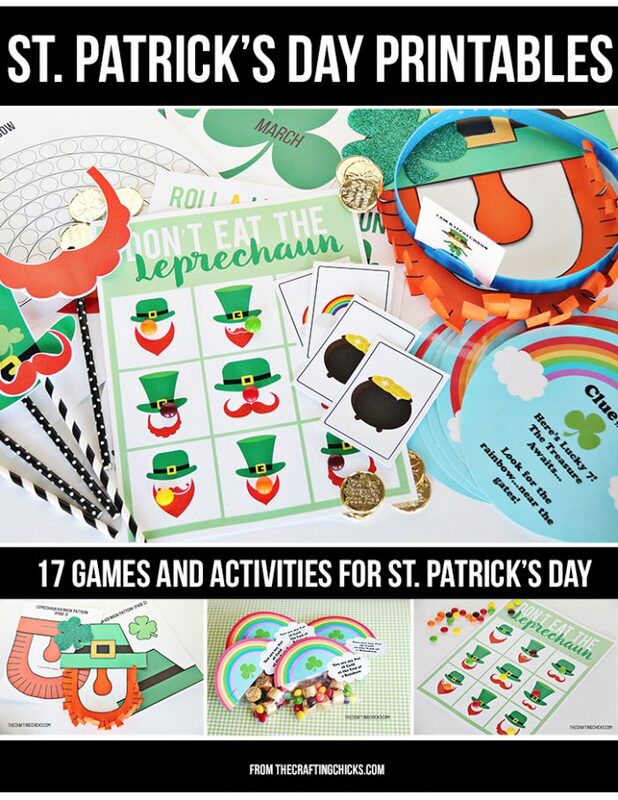 And don’t forget our St. Patrick’s Day Printable Pack. Great ideas!!! 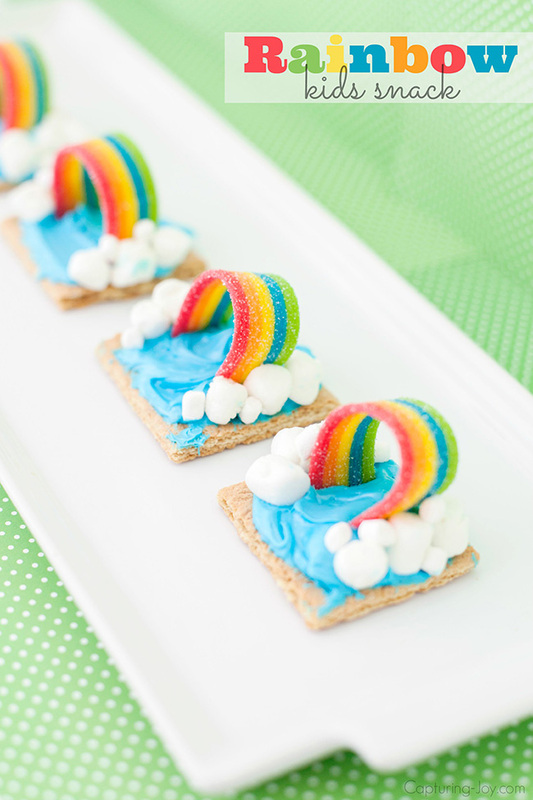 I LOVE them and I think they will also be a wonderful Magical treat for the kid’s at a Unicorn Birthday Party.